SNAP! That is the sound of a rubber band that has been stretched to its limits and then springs back into shape. The description of a resilient and bounce back person is one that is able to overcome or learn from adversity or challenges in life. We all have disappointments, setbacks and failures in our lives. It is part of the human condition and a major way that we learn how to function in life. However, many hang on to their failures and become very comfortable with them as a reason for not trying or risking in case of a success. It may be imperative that you learn to move out of your old comfort zone of negativity and low expectations in order to recognize the lessons learned. Every single one of us has experienced loss. Some loss is more complicated or traumatic than others, but it is still loss. Those who learn to become bounce-back people have gained the ability to recognize that bad experiences are temporary. There have been some amazing scientific studies done to establish a method of handling disappointment without becoming overwhelmed. 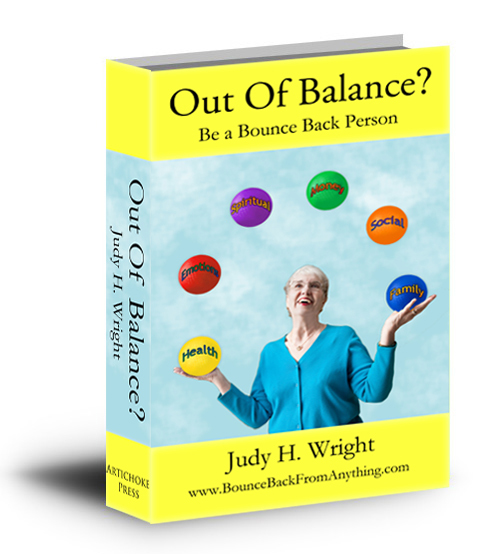 In the Kauai Longitudinal Study studied what was it that helped people to become bounce back from some overwhelming situations. They called them protective factors and you can add them to your life too. Resiliency is a life skill and like all life skills can be learned and taught. Just like riding a bike, you can learn to bounce back from adversity. As you extend your social circle and find those who are supportive, you will find that you can put your problems into a new prospective. Just being able to have a sounding board helps you to brainstorm new solutions to problems. As you fill your mind with positive thoughts, you will naturally be guided towards positive solutions. When you read about someone else being brave, it gives you more courage. The importance of written goals is astounding. Bounce back people set up a plan to move forward and make changes. 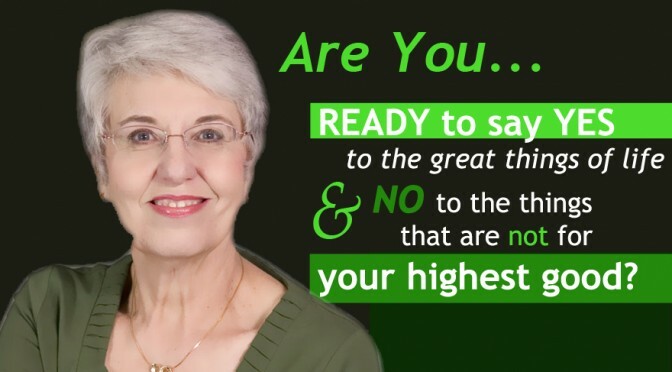 You will want to use the SMART method to make goals that are specific, measurable, attainable, realistic and timely. Set goals for the day, week, month, year and lifetime. Write them down and you will be surprised at how many you will achieve. As you focus on all that you have, you will be given even more. When you notice all the things that are going right in your life, the negative situations will not hold as much power over your thoughts. Life can be difficult, but I have confidence in your ability to become more resilient and a bounce-back person. 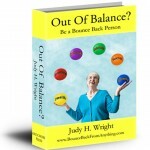 You will want to claim your free report today at http://www.bouncebackperson.com You are free to copy this article in your blog or ezine, but please give credit to Judy H. Wright at http://www.judyhwright.com Thanks.